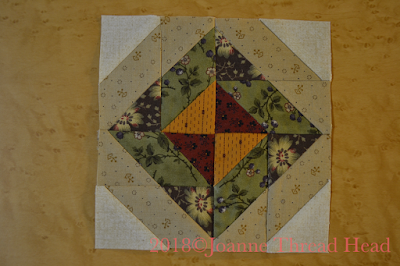 This week the only quilt along blocks I made were two Moda Block Head 2 blocks, both are 6" blocks. 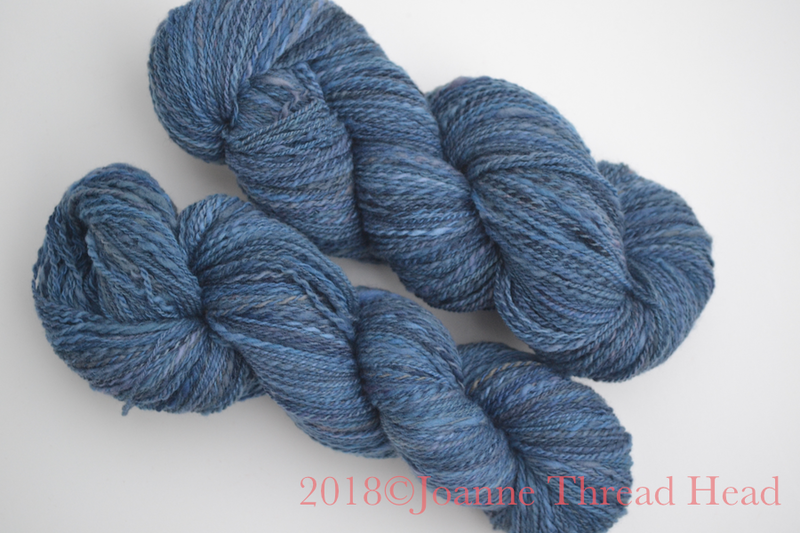 This first one is Fidget Spinner. 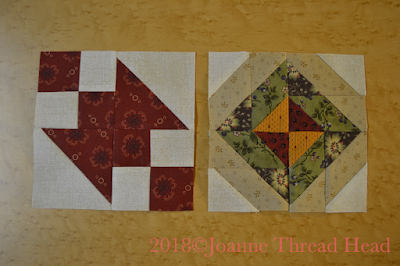 I have never made a block like this, and was so impressed with how well it went together. This one is called Corner Pocket. 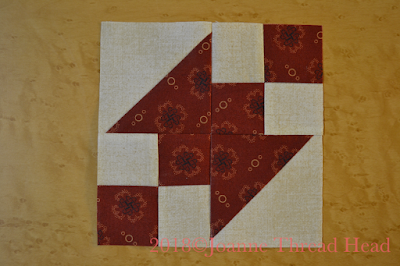 I've always been tempted to make a whole quilt with this type of block. 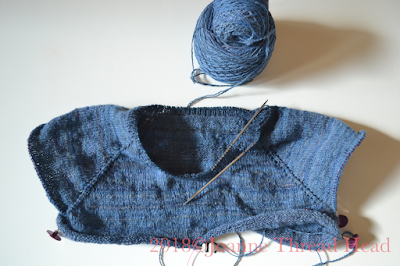 I also started knitting a short sleeve, raglan pullover with the yarn I spun the week before.